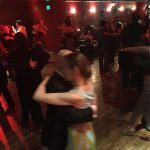 There is something exciting about dancing Tango in cultural spaces around San Francisco, especially with an appreciative audience of bystanders. 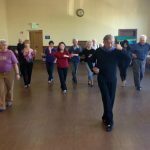 Terence Clarke and Beatrice Bowles of TangoCalifia have been bringing Tango out of the dark milongas and into beautiful (gasp) public spaces around San Francisco since 2007. These free public Milongas have been held at various civic and cultural institutions such as the De Young Museum, the Legion of Honor, the Ferry Building and Ghirardelli Square. 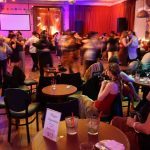 When I asked how they choose the locations, they said they were inspired by the great Buenos Aires dance halls and the terrific milongas that are held in them. They also said that the people who run these venues have all loved the idea right away. 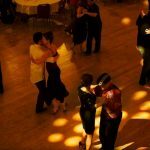 Often enough, they have not heard true Tango music before and end up impressed by the stylish dress, elegant dancing and friendly atmosphere of these events. 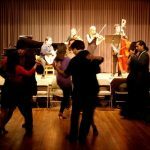 A previous Tango event by TangoCalifia: Dancers enjoy the music of Trio Garufa at the de Young Museum. This coming Friday, we are all in for a special treat. 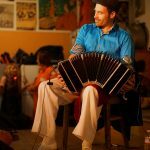 Not only will there be a free milonga at the de Young museum, but María Volonté and California harmonica player Kevin Carrel Footer will be performing. 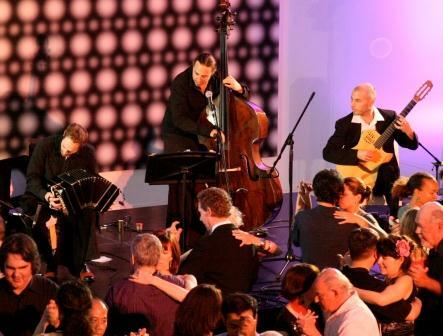 Their performance at the de Young is part of the “Blue Tango Tour” described as “a groundbreaking exploration of the emotional and musical crossroads between tango and the blues”. Sounds fantastic to me. For those who don’t know María Volonté, she is an award winning Argentine singer-songwriter. Her music is known for its intense passion and beauty as well as her charisma and sensuality on stage. For us Tango dancers, do not worry, she also sings beautiful Tangos. 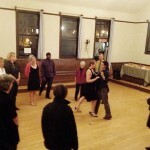 TangoCalifia is a non-profit company brought to you by avid tango dancers, Terence Clarke and Beatrice Bowles. 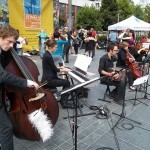 Besides bringing milongas to beautiful public spaces, TangoCalifia also funds scholarships for deserving young dancers. Learn more here. 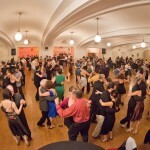 * The milonga is free. If you wish to view the museum galleries, the usual entry fee will apply.